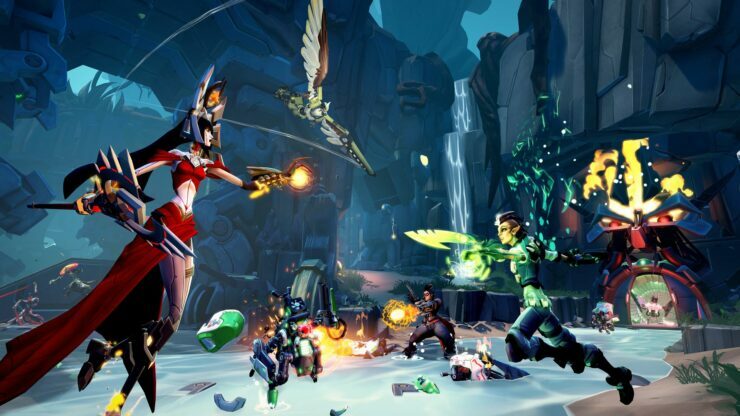 There were rumors of a Battleborn F2P transition happening soon and today, Gearbox announced a free trial that grants unlimited access to all competitive multiplayer gameplay, modes, and maps. In case you’ve already bought the game, there’s a bunch of stuff waiting for you. However, Gearbox boss Randy Pitchford challenged the “Battleborn F2P” headlines such as Kotaku’s. He explained in a series of tweets, mostly directed to Kotaku’s Jason Schreier, that the business model for Battleborn remains retail+DLC and he actually tried to get the game to be listed under the free-to-play section, adding that it would be better for discoverability, but Sony and Microsoft refused. Pitchford added that he’d like to make a full transition but Gearbox is not there just yet. The business model for this game is retail with DLC, not F2P. I have no issue with F2P, but do care about setting correct expectations. Misleading stories and characterizations complicate the expectations. Words actually matter. I am just trying to correct expectations. It would actually be better for game if it was under F2P dashboard listing. Discoverability is hampered because it is a trial. It’s incorrect and makes us/me vulnerable to characterize it as F2P given official classification with 1st party. I don’t know if it we can fully transition it. That would be nice if we could. It’s been a lot of work just getting the trial here! Yes – we hope people buy the retail game. If you browse for it on console dashboard, you have option to buy or to try for free (trial path). Do note that PlayStation Plus or Xbox Live Gold subscriptions are required if you intend to play on consoles rather than PC. Newcomers also will benefit from an exclusive queue and even brand new Training Modes to learn how to play. Gearbox Teases ‘Never-Before-Seen Reveals’ at PAX East 2019 – Could We Finally See Borderlands 3?